Huge Savings Item! Save 16% on the Allstar ALL42140 Black 5-1/2'' x 8'' Single Hole Centered Plastic Brake Cooling Duct by Allstar at Boogaloo Festival. MPN: ALL42140. Hurry! Limited time offer. Offer valid only while supplies last. 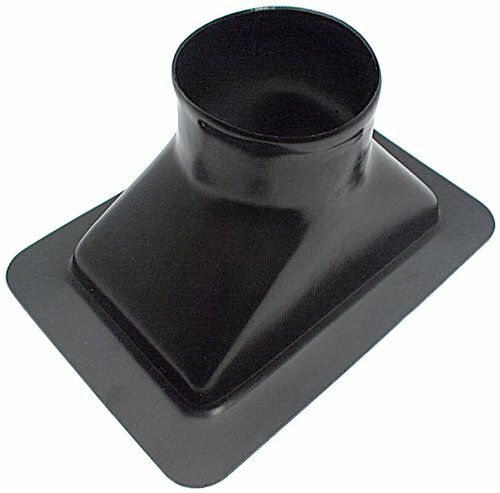 Allstar Black 5-1/2 inch x 8 inch Single Hole Centered Plastic Brake Cooling Duct features a cooling duct that has a single hole that is centered. Allstar Black 5-1/2 inch x 8 inch Single Hole Centered Plastic Brake Cooling Duct features a cooling duct that has a single hole that is centered. The measurements are 5-1/2 inches x 8 inches with a 3 inches o.d. inlet. It is constructed from heavy-duty black plastic. The brake ducts are designed to direct outside air to brakes, oil coolers and the driver. It is backed by a 90-day limited factory warranty and sold individually.